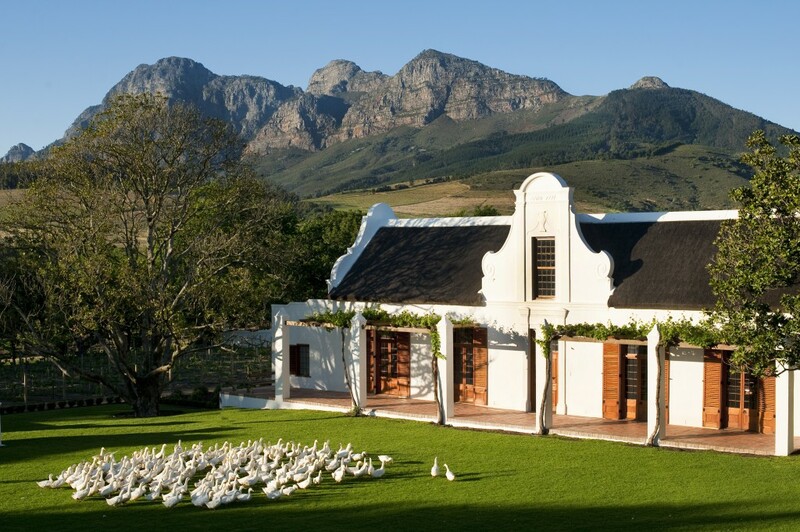 To stay in a luxury Cape Dutch homestead hotel in the Western Cape and Winelands is one of the finest ways in which to enjoy South Africa’s splendid Cape Dutch architecture of yesteryear. The much-admired Cape Dutch style of buildings, characterized by decorative gables, thatched roofs and whitewashed exteriors, became prominent at the Cape during the 17th century. Beautiful Cape Dutch homesteads have, over the centuries, become landmarks of beauty and good living in the winelands of the Western Cape. Many fine examples of the architecture from the Cape Dutch period remain, some to be found in classic Cape Dutch styled luxury hotels and guest lodges of the Western Cape. Some are priceless preservations of original early designs, whilst others are more recent buildings echoing the handsome design features of the early Cape Dutch architecture. They make splendid and luxurious holiday accommodation options. 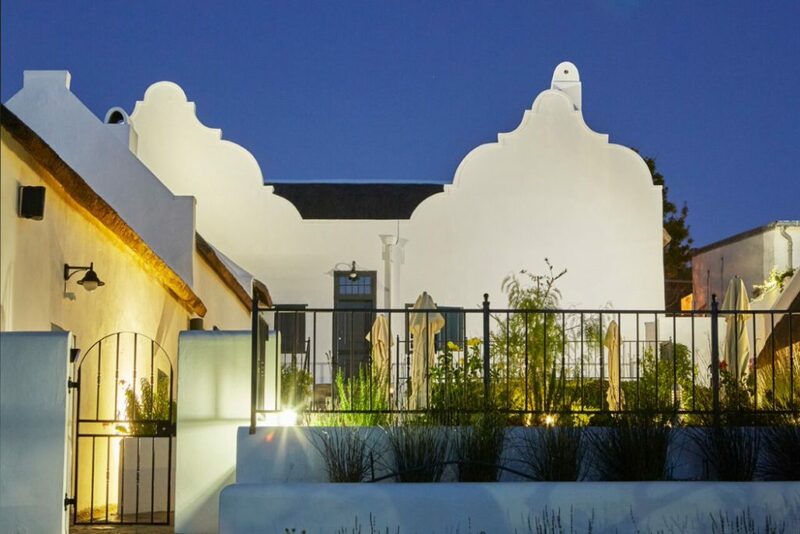 The Cape Dutch architectural tradition lives on in the old winelands town of Stellenbosch, where countless examples have been exquisitely preserved. 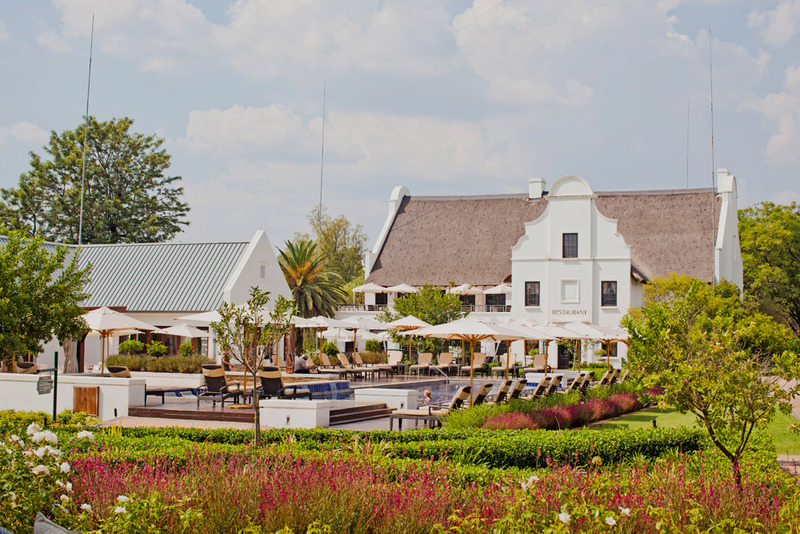 The Lanzerac Hotel & Spa has a long history winding back to the late 17th century. There are many beautiful guest rooms and suites to choose from, but nowhere on the Lanzerac estate is the sense of history as vivid as in the distinguished Lanzerac Manor House. Swellendam is South Africa’s third oldest town, with much of its long history beautifully preserved for visitors to enjoy. 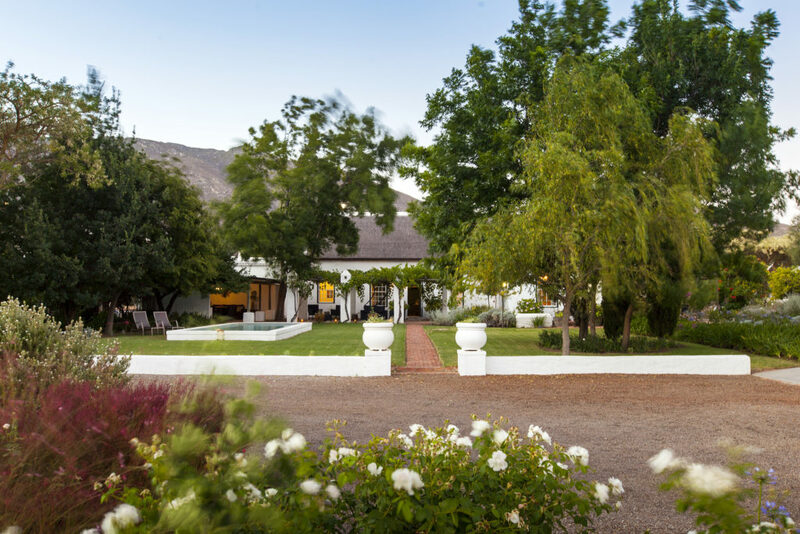 One of the town’s finest lodges is Augusta de Mist, an 1802 Cape Dutch homestead situated on a tranquil garden estate in the historic Drosdy Quarter of Swellendam. Tulbagh is another of the Cape’s historic towns, its Church Street well known for its magnificent old architecture. 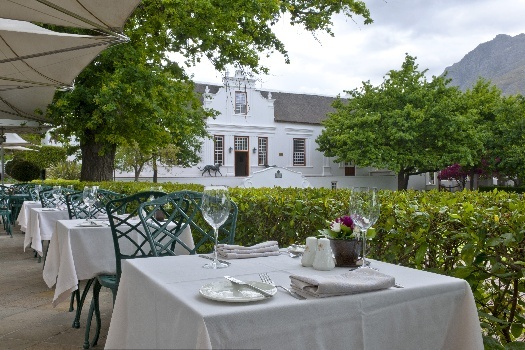 The Tulbagh Boutique Heritage Hotel is made up of three separate historic properties, two of them early 19th century buildings situated in charming Church Street. Interiors are fresh and elegant, the rooms in the heritage properties decorated in period style with yellowwood ceilings, four-poster beds and fine chandeliers. 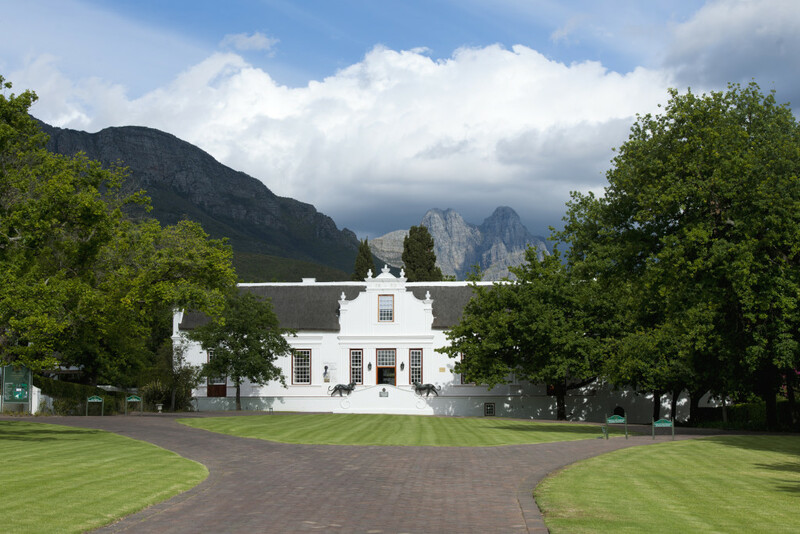 The Franschhoek winelands are a haven for hospitality and abound with guest lodges and hotels reflecting old-world design. The magnificent farm Babylonstoren dates back to 1692, and several of its buildings were erected in the 17th and 18th centuries. 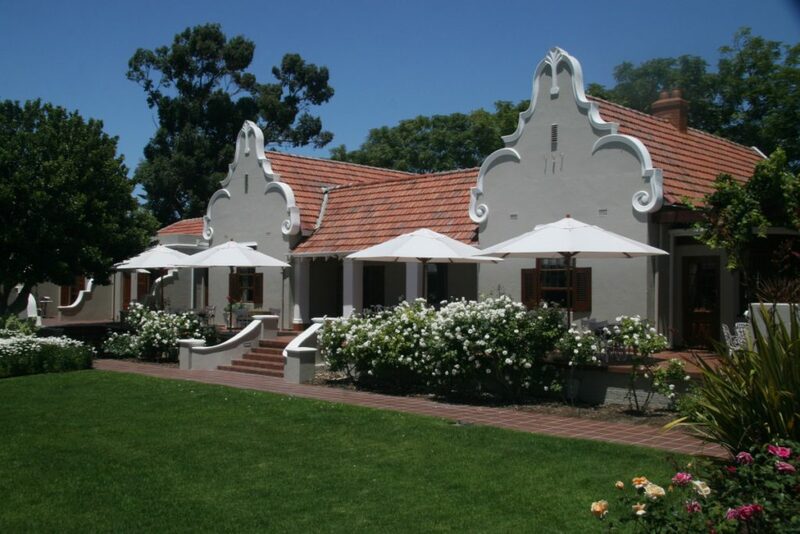 The impressive Manor House at Babylonstoren, for instance, was built in 1777. The incredible garden on the estate supplied ships to the Cape with food in the 1600s. 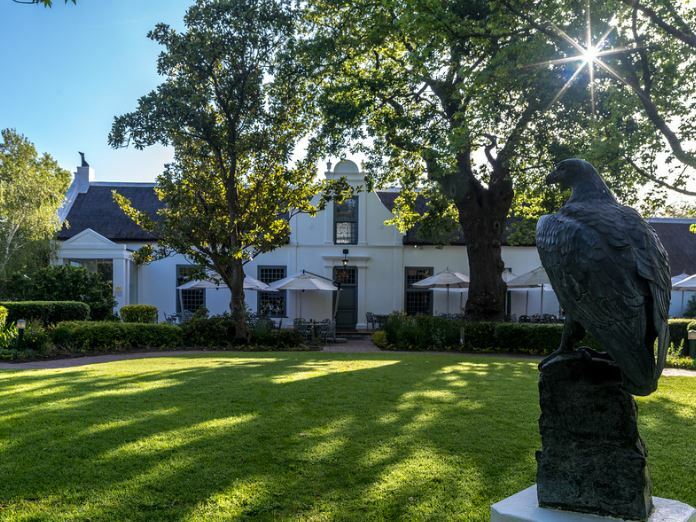 Somerset West is a picturesque Cape Winelands town, and one of its fine examples of old Cape Dutch architecture can be found at Erinvale Estate Hotel & Spa where the restored Erinvale Manor House dates back to the 1700s. 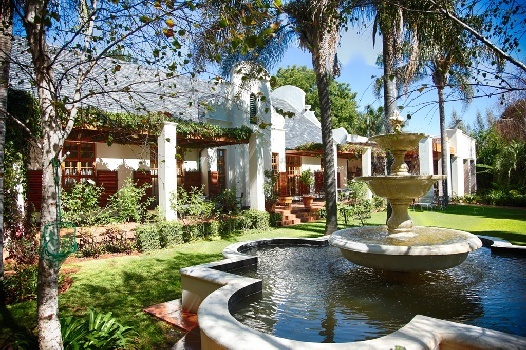 Today a modern hotel, Erinvale continues to reflect its auspicious heritage. Forty-five minutes away from Cape Town by car, pretty Wellington is a wine-producing area well worth visiting, as is its neighbouring town Paarl. The breathtaking Bain’s Kloof Pass near Wellington is not to be missed. 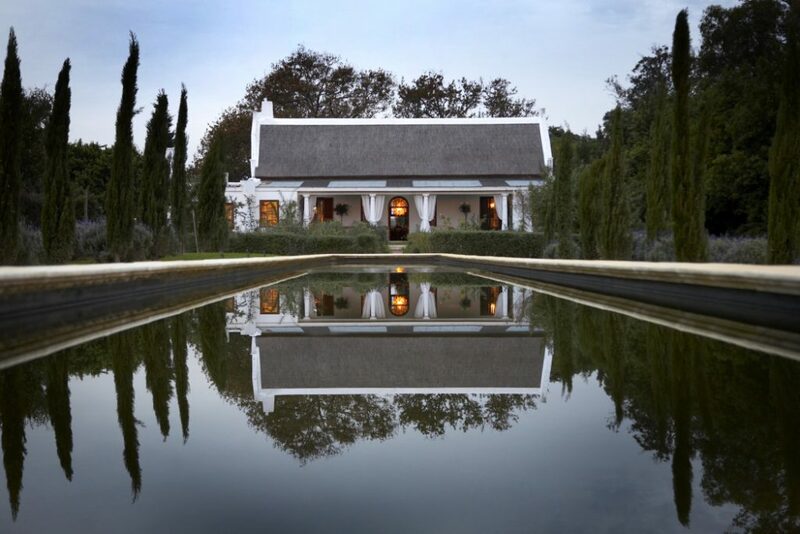 Cape Dutch homesteads are plentiful in the area, one example being the immaculately restored Cape Dutch Manor House at Grand Dedale, offering superbly luxurious winelands accommodation. Delightfully picturesque, Montagu is another Western Cape town with historic appeal and much to offer holiday-makers and road-tippers. 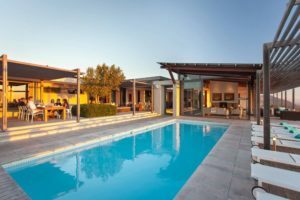 Klein Nektar Manor is a glorious old-world homestead accommodating four people on a wine and olive farm. It is one of the National Monuments on the Historical Walk through Montagu. Constantia is the oldest wine growing area of the Western Cape and preserves the age-old tradition of wine making and historic homesteads on the suburban periphery of the city. 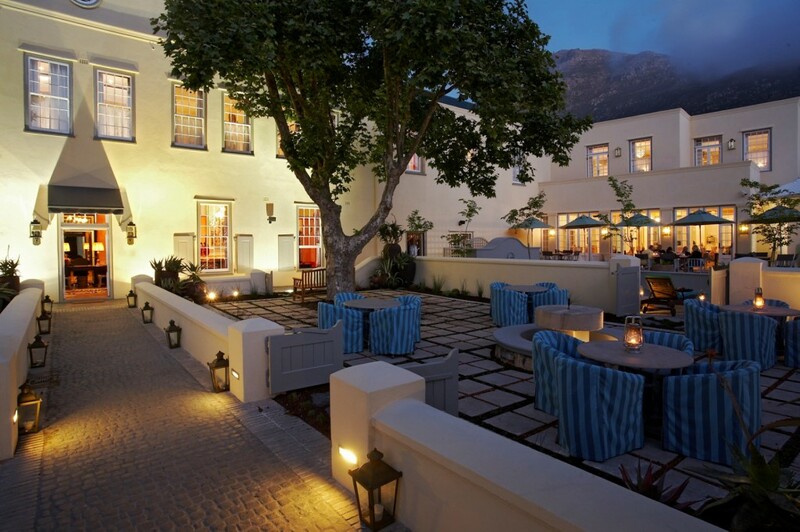 The sublime Cellars-Hohenort Hotel is a hospitality gem in Constantia, with a history going back to the late 1700s. The old Cellars building has been preserved and majestically restored. 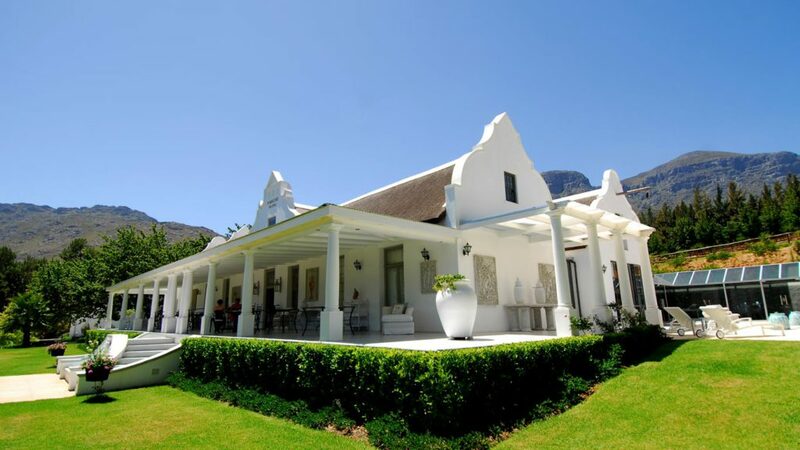 Also in Constantia, Glen Avon Lodge has as its focal point a gorgeous Cape Dutch Manor House, set in manicured gardens. The gabled manor is a beautiful historic building, with its handsome original front gables still to be admired. 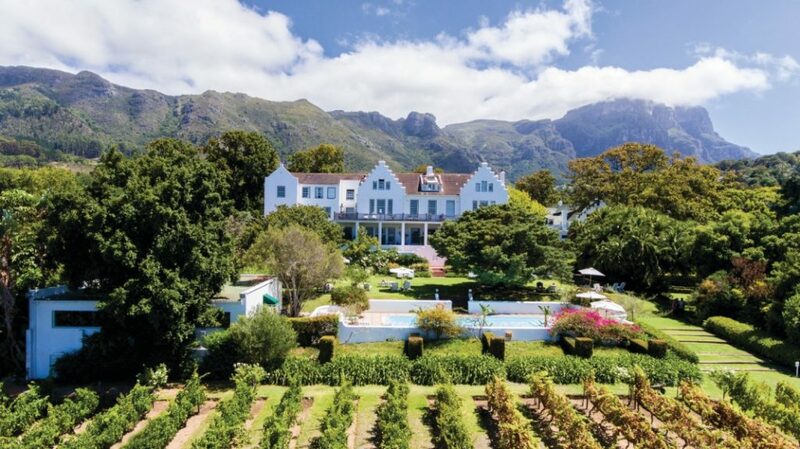 In Cape Town’s coastal village of Hout Bay, Hout Bay Manor is a luxurious boutique hotel close to the beach and within easy reach of all that Cape Town has to offer. The original manor was built in 1871 and is today a listed National Monument. 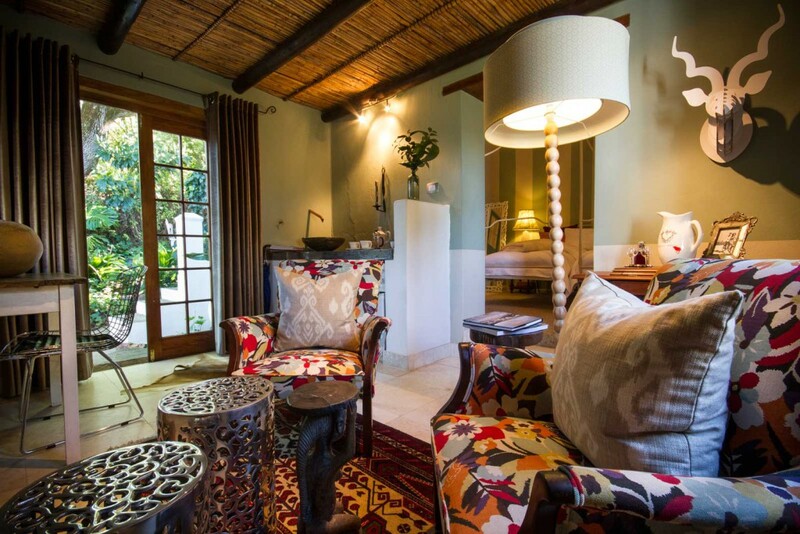 If you are visiting the Gauteng region of South Africa, but not the Western Cape, we recommend Kleine Constantia Boutique Guest House in Roodepoort, a 5 star guest house mimicking design aspects of Cape Dutch homesteads. 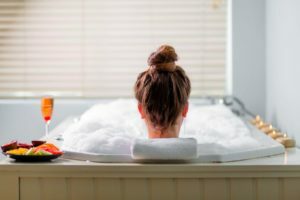 In the countryside near Pretoria, Kieviets Kroon Country Estate is a tranquil spa getaway designed in the style of historic Cape Dutch manor houses. Feel free to contact us for bookings or more information. Mail us, or call +21 797 7122 (international) or 0860 102 907 (local).